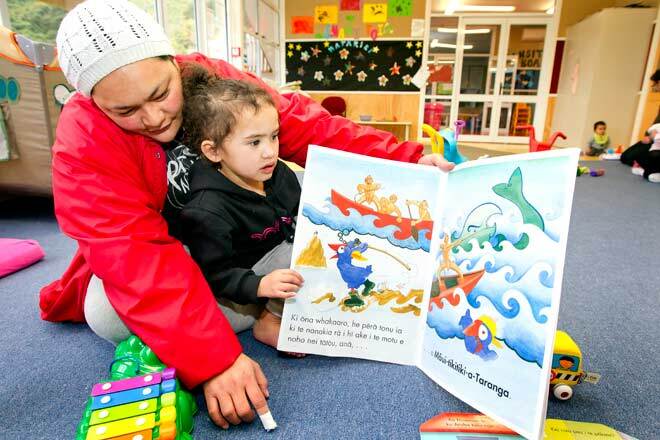 In 2012 Pukeatua kōhanga reo (language-learning nest) in Wainuiomata – the first kōhanga to open in New Zealand – celebrated its 30th anniversary. Assistant manager Trina Maxwell is shown at Pukeatua with her daughter, Shona-May, in 2007. As a two-year-old, Maxwell had attended the kōhanga reo in its early days, when her nanny, Jean Harrison, was a kaiako (teacher). Kōhanga reo originated with the idea that elders would teach children te reo Māori in an immersion environment.